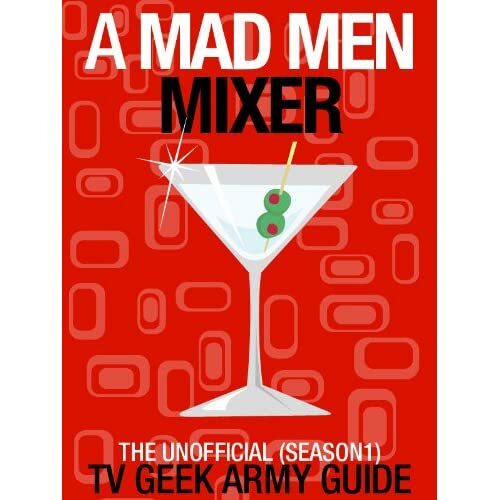 Posted on Wednesday, March 20, 2013, by Eric - TV Geek Army "Revered Leader"
Needless to say: if you are in the Zero Spoilers camp for Mad Men's Season Six premiere (April 7th on AMC), stop reading right here. But if you're like me and you just can't help yourselves (mere mortal creatures that we are), I've collected an odd but tangible assortment of hints and sniffs of what the two-hour kickoff to (what appears to be) the penultimate season following our dear friends, fam, and co-workers affiliated with good old Sterling Cooper Draper Pryce has in store. But just on that note, quickly: something we don't know as yet is that with Lane Pryce's startling suicide near the end of Season Five, will Sterling Cooper Draper Pryce be called Sterling Cooper Draper Pryce? Don't be surprised at all if we've entered the brave new world of Sterling Cooper Draper Campbell, which was hinted at late last season by Roger, I believe. To kick off, Duane Dudek of the Journal Sentinel lays out a bizarre assortment of tidbits, including Betty and Don's son (presumably Bobby) admiring "a violin case and says it reminds him of a small casket," and Don entering an "office filled with marijuana smoke and says, 'I smell creativity.'" Dudek also lays out a few broader reveals, such as Betty still being overweight (contradicting her appearance in Season Six promotional images: see above for example) and Roger "facing death" (another heart attack?). Meanwhile, TV Scoop's Spoiler Chat column drops a few pretty big bombshells, including a wedding and two deaths in the two-hour premiere alone! Could one of the deaths be someone close to Roger, thus accounting for his "facing death"? Surely, Roger himself could not be at mortal peril at this stage in the series... or many a Mad Men fan would need to be racing for the ER themselves in reaction. We've seen some spoiler-ish shots over the last few months of Don, Megan, and Harry in what appears to be Hawaii during the filming of the new season, so it would appear that we are going to be seeing Mad Men in an exotic locale in the early going. This has happened before, of course, with Don and Sal Romano heading to Baltimore (a bit less exotic than Maui, granted) in "Out of Town," Season Three's premiere. And a juicy tidbit to end on: apparently we will get more on the status of the Don/Megan marriage, specifically relative to Don's potential return to his cheating ways. The final shot of Season Five, with Don gazing back at a young woman in response to the question, "Are you alone?" was an iconic moment in Mad Men's history. It would appear that we will be in store for plenty more in the new season ahead.